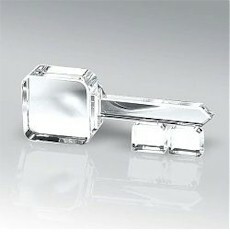 - 3 5/16" dazzling crystal key. 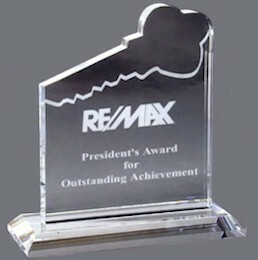 - Imprint size is Sq 1 1/8". 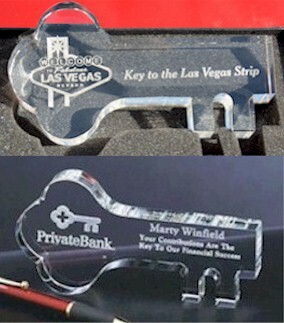 - Custom Engraved Crystal Key Award. 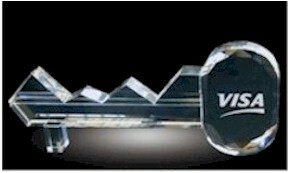 - 8 inch Custom Engraved Crystal Key Award. 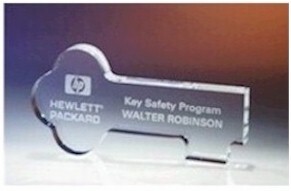 - Crystal Key Award with a base.